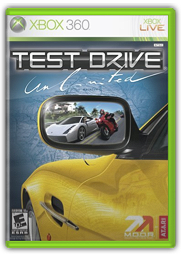 At first, it seems as though you’ll be playing and loving Test Drive Unlimited for days on end. Unfortunately, the novelty wears off pretty quick and it simply keeps dishing out helpings of the same old. The Good: Car models look great and the picturesque island setting is stunning. Lots of races and missions to keep you busy. Massive free-roaming environment lets you drive for literally hours on end. Seamless online integration is pretty neat but not as great as it sounds. The Bad: The majority of the car engine sounds are really bad. Handling is wonky, very hard to get used to from car-to-car and often results in you flying off the road or driving straight into a head-on collision. Online servers have been down pretty often. Marketplace for trading cars hardly ever works. Very repetitious. Overall, the novelty wears off pretty quickly. First, a bit of the basics. You’re on a Hawaiian island and you have over 1000 miles worth of road at your disposal. You can drive anywhere you please and stop at selected shops and dealerships along the way to purchase new clothing and vehicles. As you explore, you open up access to new races and missions. The races are your standard 8 contender race, time trial and speed traps. While missions are basically Point A to Point B in a specified time while taking minimal damage. The coolest aspect of the game is the online integration. You’re online all the time. As you’re playing, you’ll encounter other players and have the ability to join races with other groups of players or challenge someone specifically and put some money on the table. Now, you don’t see everyone that’s in your vicinity. In fact, you’ll see far less people that you would expect to. But you will come across other players from time to time. As you play, you’ll collect cars, bikes and homes to store you vehicles. If for some reason you want to get rid of a vehicle, there’s an online marketplace where you can list your vehicle for whatever price you want and if someone is in the market, they’ll buy it. But you don’t get your money until it’s sold. I bought my second car this way and ended up saving $60 off the dealer price. Unfortunately, the marketplace hasn’t worked for me for over a week now. I’ve had friends report the same. You can customize your vehicles with preset performance packages (1 through 3) and change the paint via 2 paint shops on the island. In other words, vehicle customization is very weak and leaves a lot to be desired. Especially since so many other players will see your car, they really should have put more into the customization end of things to allow players to have the most unique rides possible. You can also customize your characters clothing and physical appearance. The latter is very limited, but there’s a decent variety in the clothing that’s available. Visually, TDU is extremely beautiful. The island setting is quite pretty – the sky in particular. Vehicle models are very detailed, outside and in. The in-car camera is one of the best I’ve seen in racing games. You have the option to adjust the seat position which affects your dashboard vs. road ratio. One thing that kind of bugged me about the in-car view, like Project Gotham Racing 3, you can’t invert the y-axis when you’re looking around. Drives me nuts! But the main complaint I have in this department is the lack of vehicle damage. This to me, is a massive, massive disappointment. As pretty as these high class cars are, I want to see some broken glass and missing doors. Bumpers flying off would be nice, too. Hell, I’d settle for dents! You experience some sick wrecks in TDU… cars flying through the air, landing sideways and dirt getting kicked up all over the place. But when it’s all said and done, your car is still shiny and new. Lame. The sound overall is pretty awful. I first noticed this in the demo while driving the Ferrari F430. Being my favourite car in PGR3, I’ve spent a lot of time “driving” it. Needless to say, I hardly recognized it when I jumped in the driver seat in TDU. It reminded me of how cars sounded in the 16-bit era. Gross, to say the least. The muscle cars sound even worse. I picked up an old Camaro and wanted to trade it in after only a few races as I couldn’t stand the sound of it. The voice-overs are also pretty bad. There’s 2 main voices you hear a lot. The male announcer who counts down races, etc. and your GPS lady. Both sound like over-eccentric infomercial spokespeople. The menu and cutscene music is as you would expect now knowing what the announcers sound like. Somewhere in between easy listening, adult contemporary and elevator music. It seems to me like there could have been a lot of old white guys on the development team. The reason I can’t play TDU any longer is the vehicle handling. I simply can’t grasp it. I’m not sure what it is… I’ve played my share of driving games (PGR3, Burnout Revenge and Need for Speed Most Wanted on the 360 alone) and never had any problem controlling my vehicles. But I never felt like I was actually in control while playing TDU. After you get to the Expert level, you unlock some really big races. Super long and lots of reward money. When I say super long, I’m talking 15-20 minutes is pretty common. There are a couple that will take you close to an hour to complete. There’s no way I would even attempt a race like this knowing that at any moment my car could totally spin out and I’d have to start over. In any of the previously mentioned games however, I wouldn’t think twice. The first couple cars I had were ok (C and D Class) but once I got up to B and A Class cars, it all went to hell. It’s almost as though the cars can go a hell of a lot faster, but the handling mechanics haven’t been upgraded with the horse power. This afternoon I went to my local EB Games to trade it in. They offered me $17, so obviously I still have it. I might pop it back in while I’m waiting for my auction to end, but I doubt it. The best advice I can give is to rent the game and play it for the full 5 days (or however long you have it for) before passing judgement. I was totally stoked on this game for the first 3 days or so, then it suddenly got boring and tedious.